I'm here today to talk about sponges. I've gone from being a make-up brush lover through and through to having a bathroom full of these spongy little guys. I've tried out around 5-6 brands so far, and I wanted to share with you my top 3 and how they hold up against each other. It's the battle of the blenders. Each sponge is used by running under warm water for a couple of seconds, which will cause the sponge to double in size - and also to stop your expensive foundation being soaked up by the sponge (Make sure you give it a good squeeze to dry it off a little before use) I like to add a little product straight onto my face, and then stipple/bounce the product into my skin, rather than rub. This gives a light and natural coverage which can be built up and layered easily. When used properly, it should really make the most out if your foundation and leave you with a flawless finish. Top tip: I wash all of my beauty sponges and brushes after use with baby shampoo - no need to buy the expensive cleansers! 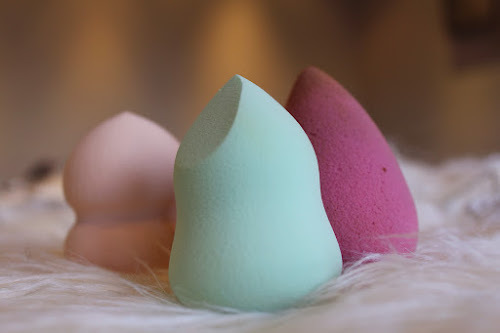 I have to admit I did first turn my nose up at the beauty blender. The price at which they are effectively selling a peice of sponge is quite outrageous, or pretty genius depending on how you look at it. But after witnessing Kourtney Kardashians makeup artist bouncing this all over her perfect little face on an eppisode of KUWTK, I had to join the party... #sucker. 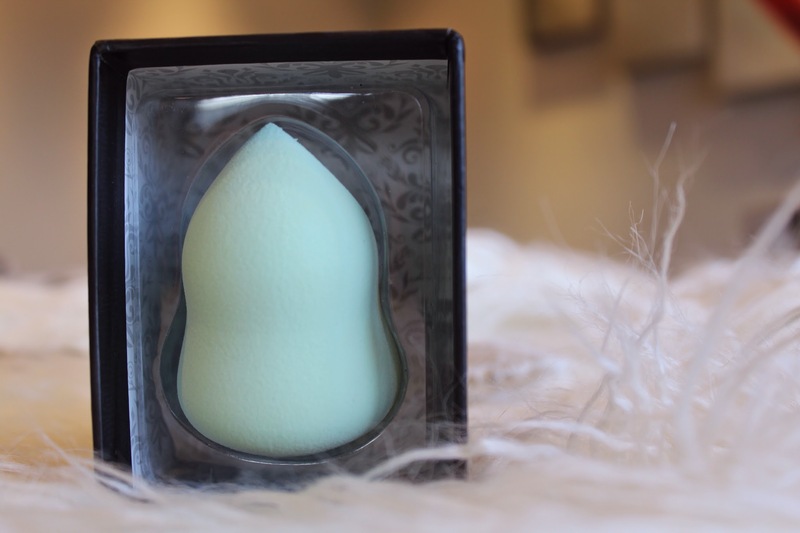 This little guy is teardrop shaped, which is supposed to allow for blending foundation into the nooks and crannies of your face. Thumbs up- The softest by far out of the 3. I'm not sure which type of sponge it uses (are there even different types of sponge?!) but I was blown away by how soft it was to touch. This made tapping the foundation into my skin V easy and also made it impossible to be too heavy handed. Super easy to clean too. Thumbs down: The teardrop shape wasn't particularly easy to use under the eye area, or on the sides of the nose. Beauty blender do sell a mini version for this purpose, but it's expensive enough already so that's a bit of a rip off. The shape also makes it impossible to put down during use without it rolling around and getting dirty. Being the smallest of the three the surface area wasn't as large and so it took me the longest to apply a full face of slap. The softness of the sponge also meant it teared slightly after a few applications, but was still useable. Nanshy are already a favourite of mine for amazing make-up tools, so it's well worth taking a look at their entire range. This little guy is an affordable £5.95, and offers you 4 in 1 usage - apply cream make-up, mineral based powders, cream blushes and even skincare. Claims to give a look that 'combines hand application detail with airbrush application smoothness'. Nanshy are also vegan and cruelty free which is a huge plus in my eyes. *I got my hands on this little guy early, but it will be launching in February so keep your eyes peeled. Thumbs up: The price - This is more like it. 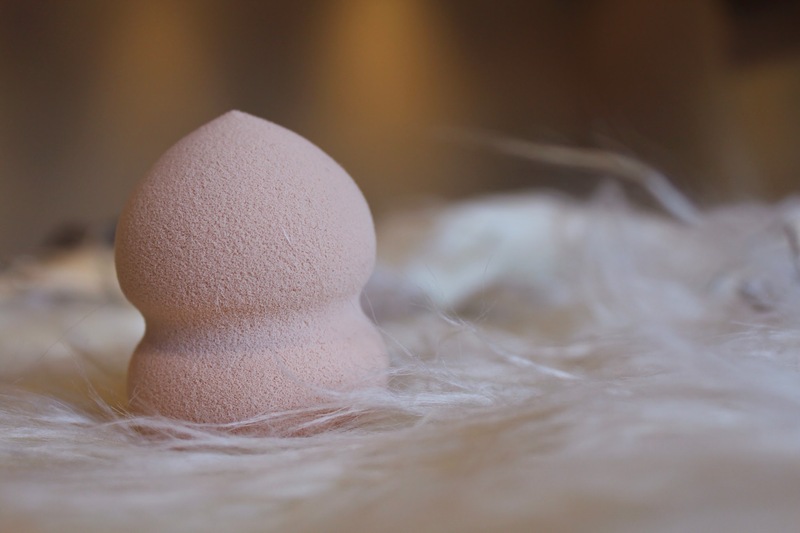 I also loved the quality, it's really thick and feels much less flimsy than the other sponges, and the surface area is huge meaning that I could apply my foundation super quickly. I loved the sloped shape and the different angles and dimensions, and I had absolutely no trouble applying concealer under the eyes and around my nose. My skin was left glowing and flawless. Much more of an all-round complexion sponge. The no animal testing and the fact it is vegan also wins me over! 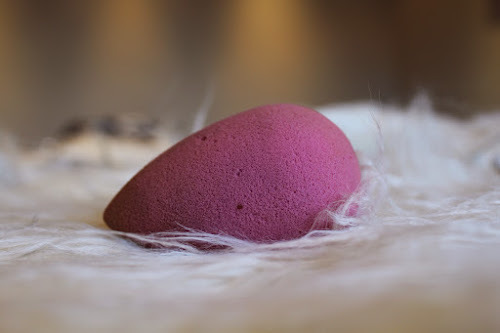 Thumbs down: After getting accustomed to using the softness of the beauty blender, this sponge felt a lot thicker and harder on my face. I felt I needed to apply more pressure to really work the product into the skin, and I felt like it may have soaked up a little more product because of this. Thumbs up: The shape of this sponge - super easy to hold, to use and easy to wash. I like that the ridges make it easy to hold and the pointed edge is great to use on your skin, leaving the flat surface free to rest it down between uses - not having to put that surface area on your skin is much more hygienic. And no more rolling off your dressing table! Summary: They all have their pro's and con's, and in an ideal world I'd probably have the beauty blenders softness and texture with the shape of the Nanshy Marvel. 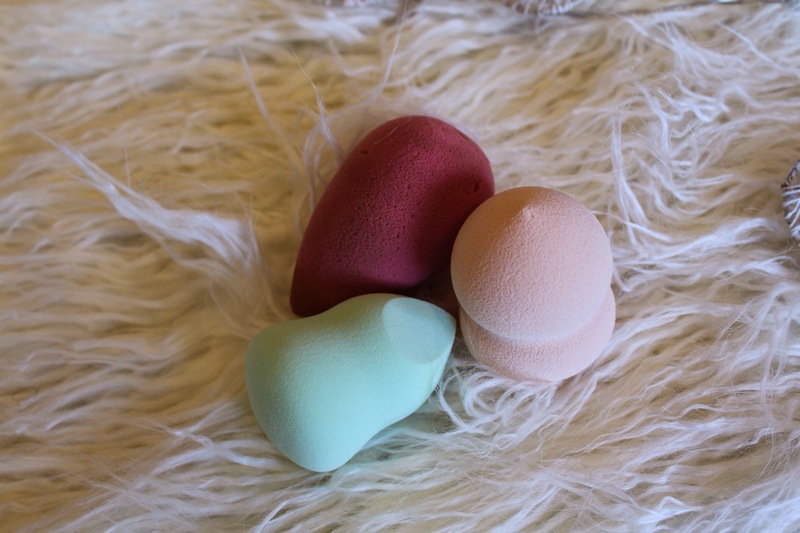 I think the beauty blender is a great investment, and I really enjoyed using mine but I'm not sure it's price is warranted. The Nanshy Marvel is much more affordable and does just as good a job. I love my beautyblender! But the Real Techniques one is next on my list, I heard great things about it.